Closets are sort of like black holes. Seasonal clothes, shoes, and other items have a way of getting buried in the back of your bedroom closet until you’re not sure what all you have. 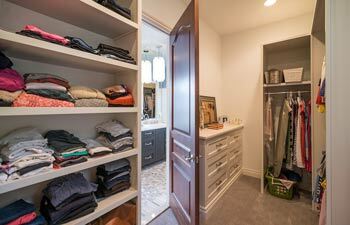 Fortunately, custom closets can help you stay organized and find what you need year-round. Continue reading to learn our 7 tips for custom closet design. For more information, don’t hesitate to reach out to our custom closet builders in Oakland County, Michigan. How do I design my own closet? Adjust shelves and hanging sections for height. Determine how you want to store clothes. Use every inch of space. Determine the best mix of shelves, drawers, and hanging space. Install shelves at the bottom. Give your accessories a home. Who will be using the custom closet the most? Our designers will need to know this so they can create a custom closet that’s adjusted for height. For example, a person who is 6 feet tall will need a hanging rod in their closet that’s high enough that their pants don’t touch the ground. Likewise, a person who’s only 5 feet tall would need their hanging rod closer to the ground so there’s not unused space underneath. The height of the person using the custom closet will also determine where we place shelves. That way, shelves that are within reach can be designed for everyday items while shelves out of reach can be designed for seasonal items. Do you prefer to hang your pants or keep them neatly folded in a drawer? Your answer will help determine the custom closet design we come up with for your home. We understand that each of our clients have their own preferences for storage, which is why we ask plenty of questions about how you intend to use your custom closet during the design phase. While it may seem obvious to use every inch of space, many do-it-yourself closets don’t follow this rule. This is because companies make more money by creating a basic system that works for most closets. For the best results, we recommend hiring one of our custom closet builders in Oakland County, MI. We’ll be able to measure the exact dimensions of your bedroom closet to determine how to use the space efficiently. Our custom closet builders can help you determine the best mix of shelves, drawers, and hanging space. It is always our goal to design custom closets that are beautiful and functional. We’ll make sure that your new closet space is easy to use and has the right types of storage for your wardrobe. Show off your wardrobe with open shelves or cabinets with glass doors. Having a custom closet allows you to organize your clothes and accessories until it looks like art. You’ll also be able to tell what clothes you have without the hassle of opening up several drawers to find your favorite sweater. Many people miss the opportunity to install shelves at the bottom of their custom closets. Not only is this a great idea to store your footwear, but you could also use this space to store hats, purses, and anything else you want to keep within reach. Our closet builders can create drawer inserts for your jewelry, sunglasses, and other accessories. Having a custom closet means that you’ll be able to have a space for each item in your wardrobe. Our custom closet builders in Oakland County, MI are ready to help you design your dream closet. 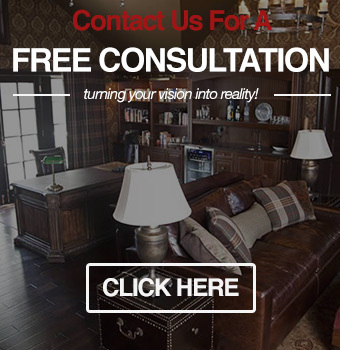 To learn more about our custom closets, call Visionary Cabinetry & Design at (248) 850-7178.